The Kennesaw Museum Foundation is lacing up its running shoes and sprinting towards the 6th Annual Great Locomotive Chase 5K. This year’s event, to be held Sept. 6 in downtown Kennesaw, coincides with the Taste of Kennesaw. 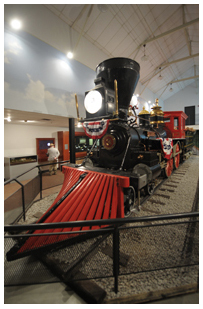 All proceeds from the 5K support the educational and outreach programs of the Southern Museum of Civil War & Locomotive History. Runners may register at the Southern Museum, at any Big Peach Running Co. store or online at active.com or greatlocomotiverace.com. Registration is $25 for the 5K and $15 for the 1-Mile Fun Run until August 26. Late registration, (postmarked after Aug 26) is $30 or $35 for runners that register on the day of the race. The corresponding Tot Trot is free. Runners who register the day of race are not guaranteed a race shirt. The starting line for the 5K will be located in front of the Kennesaw First Baptist Church. Race Schedule: 7:30AM 1 Mile Fun Run /8:00AM 5k /8:55AM Tot Trot /9:15AM Awards Ceremony. The race takes place on the relatively flat, shady race route, runners will head north on Main Street to Swift-Cantrell Park, loop through the park, continue toward downtown Kennesaw and finish near the intersection of Main and Cherokee streets. This certified course is professionally timed. Following the race, awards will be presented to the top three in all age groups, as well as a cash prize to top male and female racers. For more information about running or volunteering, please contact the Kennesaw Museum Foundation at foundation@southernmuseum.org or 770.427.2117 ext. 3174. Cash Prizes ($100) for the 1st Place Overall Male and Female Winners and 1st Place Masters Male and Female Winners (40 and over)!!!!!! The cost is $25 if you register by 9/6/13; $30 if you register the day of the race. More information and race applications are available at www.greatlocomotiverace.com. See you there! Welcome to the 4th Annual Run for Wounded Heroes, formerly known as Run for Wounded Warriors. We are preparing for this year’s race, August 3rd, in historic downtown Kennesaw. This is the 3rd Kennesaw Grand Prix race for this year. This race is a Peachtree Road Race qualifier. 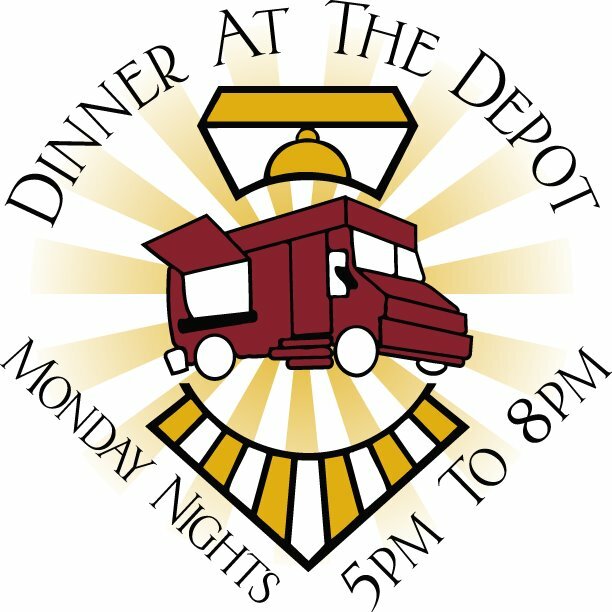 The After-Party will be held at The Depot with an amazing concert featuring Angela Reign. We will also have plenty of water, restrooms, vendors, give-away’s, swag bags, and much more. There will be a raffle for 2 sets of 2 round trip tickets on Southwest Airlines. Tickets are $5 each. The drawing will be after the awards presentation. You can purchase tickets at Big Peach Running Co or on race day. Through these past three years, we have been Blessed to be able to donate $32,500 to the Wounded Warrior Project!! The BurgerFication of the Nation® continues to spread through the metro-Atlanta area with BurgerFi® opening its doors on Wednesday, July 10 in Kennesaw. The fast-casual restaurant offers a menu of all-natural, farm-raised beef, specialty hot dogs, fresh-cut-daily french fries that are cooked when an order is placed, as well as desserts, craft beer and wine. This is the third BurgerFi® to open in the Atlanta area. BurgerFi® was born from a fast-casual concept that evokes the hamburger stands of the 50s and 60s, when Americans enjoyed the all-American meal of a cheeseburger, fries and a Coke. Picking up where the other “better burger” franchises left off, BurgerFi® differentiates from other restaurants of today by focusing on fresh, healthier choices and environmentally sustainable practices all in an urban setting. The 90 plus-seat Kennesaw location gives guests both indoor and outdoor seating options, with an upstairs, open deck. The covered deck keeps guests cool with a huge fan while they dine, and is the perfect place to relax at any time, day or night. BurgerFi® Kennesaw offers more than just great food – it lends a unique dining experience where guests can feel good about the fresh, all-natural options they are eating. The restaurant can be enjoyed by everyone from students and families to those doing business in the area and those that come to enjoy all of downtown Kennesaw’s offerings. The menu and atmosphere make for the perfect weekend meal with the family or a quick late-night bite. All BurgerFi® burgers are cooked the moment a guest places his or her order. The made-to-order menu also includes a variety of specialty items like Wagyu Kobe beef hot dogs, hand-cut French fries and onion rings made daily, specialty toppings, frozen custards, natural cane sugar sodas, craft beer and wine and more. In addition to serving meat, the restaurants keeps vegetarians in mind by offering the VegeFi quinoa burger made from fresh, natural ingredients including lentils, mushrooms, zucchini and carrots. BurgerFi® Kennesaw is in the heart of downtown Kennesaw at 2844 South Main Street. The restaurant is open Monday through Thursday from 11 a.m. to 10 p.m., Friday and Saturday from 11 a.m. to 11 p.m. and Sunday from 11 a.m. to 9 p.m. Parking is available by the building, as well as street parking and in the Depot lot behind the restaurant. For more information, call 770-635-2800.